Virginians must always be prepared for severe weather. Protect your home or business investment today with a high quality metal roof. Along with protecting against winds of as high as 120 mph, our products offer a long life span eliminating the need to worry about reroofing in the future. No matter what kind of metal roofing style you choose, you’ll most likely never have to worry about your roof again. Most come with a true 30 to 50 year warranty. We serve Chesapeake Bay, Richmond, Virginia Beach and every Virginia town and community in between! Energy efficient, metal roofing will keep your attic and ultimately your home cool on hot, summer days. Environmentally friendly. Our roofing is made of a majority recycled metals. Reduces energy consumption and cost. Many styles and colors from which to choose. 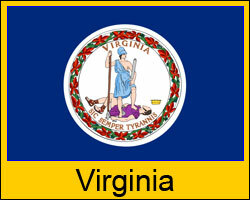 Prices are valid for any area within Virginia and some shipping restrictions do apply. Click here for details on shipping to your jobsite.